Yogi was born on the farm in September 2014, son of Lilly our Feisty lady llama. 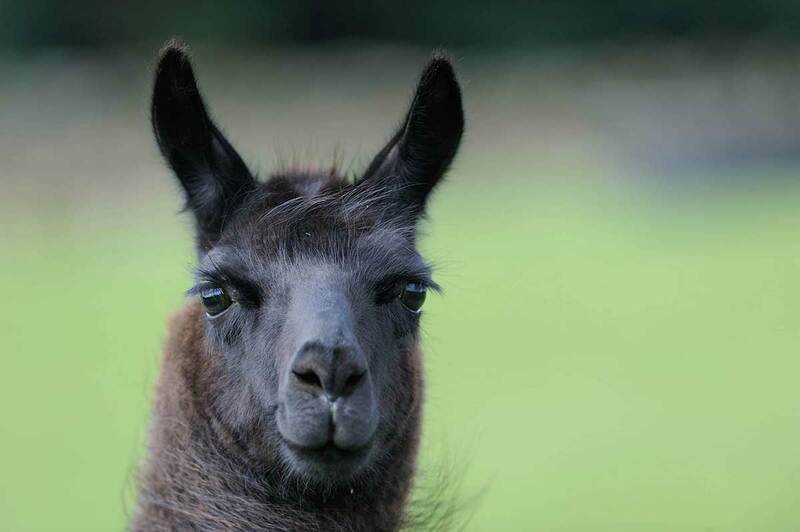 Yogi is not the most intelligent llama shall we say, he is short of a few brain cells, and he struggles with some of the most simple tasks, like eating his tea – he doesn’t always understand what is being asked of him. He is a very calm trekker, but will sometimes forget what he is meant to be doing! He always takes life at his own pace, in a daze, and very slowly! He is Tobie’s half brother, so Lilly must be keeping all the brain cells to herself rather than sharing with her babies! Yogi loves the ladies, he shows off strutting his stuff when they are about. However he is always cover in hay, he looks like a walking hay bale! Woody is a very confident trekker, and is a really popular boy with everyone who takes him out!